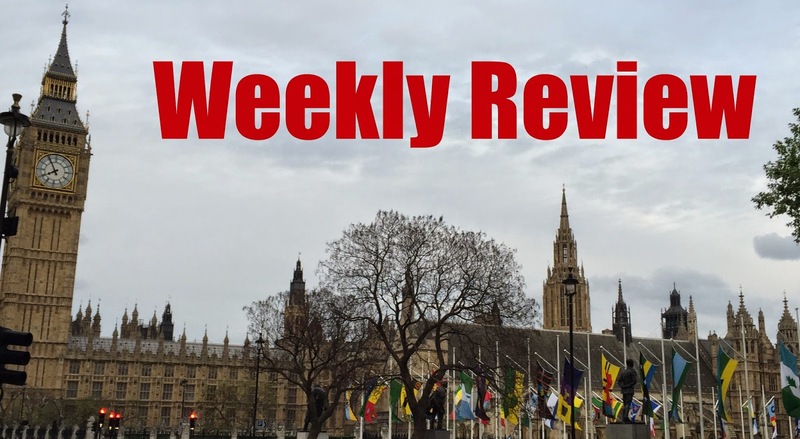 Weekly Review No.6: A week of "turmoil"
This week, UKIP and the Liberal Democrats are in "turmoil", the Labour leadership contest isn't going quite to plan and MPs have a difficult choice to make. After the debacle of Nigel Farage's unresignation, you'd have thought UKIP would've liked to avoid any further infighting or controversy – at least for the moment. However, having mastered the art of the unresignation, this week they mastered the art of the unsacking. Suzanne Evans (the former policy chief) was interviewed by Andrew Neil on the Daily Politics and was asked if she thought that Farage should lead the "No" campaign in the forthcoming EU referendum (yes that again!). She said that he shouldn't as he is "very divisive character." This, needless to say, did not go down very well with Farage himself. A leaked email revealed that UKIP's press office had been told to "keep [Evans] off the airways" and an insider said that Farage was "pretty angry." Reports then emerged that Evans had been sacked as an official spokesman, before UKIP issued a statement denying the sacking and said the email had been "issued without proper authority." The unsacking is the latest scandal to rock the party. Evans is widely regarded as one of UKIP's top performers, having produced a manifesto "that people could only disagree with, rather than laugh at" as Isobel Hardman of the Spectator put it. Suzanne Evans was right, Nigel Farage is a divisive figure and would probably harm the cause of the "No" campaign – instead a more neutral figure will give the campaign its best chance of succeeding (although I hope it doesn't). More internal dissent cannot help UKIP either, as a party they should be building on the successes of the election rather than tearing themselves apart after it. If these scandals continue, it risks losing their more moderate players like Evans and Douglas Carswell (the party's only MP) and its more moderate voters will follow. Having previously praised the Lib Dems for their conduct after the election, towards the end of this week a scandal broke out involving the upcoming leadership contest. Tim Farron is widely regarded as the frontrunner, but Norman Lamb has apparently been closing the gap with good performances in recent hustings. This week it was claimed the members of Norman Lamb's team had been engaging in dirty tactics in the campaign – something called "push polling." This is where people are presented with an official looking poll, but instead it's an attempt to alter the view of voters. In this case, members of Lamb's campaign organised a poll which questioned Farron's suitability as a leader – drawing attention to his controversial voting record on gay marriage and abortion. Campaign teams had been given access to the membership list, but they were forbidden from using it conduct negative campaigning. Several party members complained to the Returning Officer, who has now launched an investigation into the breaking of those rules, Lamb suspended the two people involved and apologised to Farron, who quickly accepted it (quite boring really!). This is the last thing the Lib Dems need. With the kicking the party got at the election, they need a positive leadership campaign before getting on with rebuilding. Scandals like this detract from the real issues and instead make the Lib Dems look the same as UKIP – not something they want to be doing! On Sunday, Jeremy Corbyn hadn't reached the 35 nominations needed to be on the Labour leadership ballot, but by 1 pm on Monday he had enough. This sudden rush of nominations can be attributed to Labour wanting "a proper debate" on Corbyn's anti-austerity message. For Andy Burnham it's great news – Burnham is seen as the heir to Miliband, too left-wing for most – especially after calling Labour's recent manifesto "the best he has ever fought under." For Yvette Cooper and Liz Kendall it's not so good, making them both appear more right-wing and Burnham look like the consensus centrist candidate...god forbid! But things got worse for the trio later in the week, BBC Newsnight held a leadership hustings – in which Jeremy Corbyn emerged victorious...sort of by default. The other three failed to deliver a knock-out blow in order to win the debate, instead they fell flat. Odds were cut on Corbyn winning the September contest, although he still remains the outsider. The highlight of the debate was the embarrassment of Andy Burnham. All the candidates agreed that party should be able to depose a leader before the election if necessary – Burnham said that "the party must always come first" and, quick as a flash, Kendall responded "no the country comes first." Quite right Liz! This week the report into the repair of the Palace of Westminster was published. The headlines said that it would cost nearly £6bn and would take 32 years. The reality is that it'll cost between £3.5 and £4bn and take nine years – with one caveat, MPs and Peers will have to find somewhere else to argue with each other for six of those nine years. The amazing thing is that some MPs, like Chris Grayling, Leader of the Commons, don’t want MPs to leave the building – despite the nearly doubling of the costs and tripling the time it'll take if they don't. The ideal solution is for the MPs to move out whilst repairs are being undertaken and simply move across the road to the QEII Conference Centre – saving the costs of moving all the MPs offices elsewhere. Many misguided Northerners want parliament to move up North (Manchester for example), but realistically moving the entire government would increase costs massively – and it's not cheap already! A simple compromise would be for David Cameron (and any future government for that matter) to hold Cabinet meetings elsewhere in the UK, to try and dispel the myth that the government is too London-centric – it worked for Alex Salmond and the Scottish cabinet.